Figure 1: Transvaginal scan showing the gestational sac with fetal pole at the scar area. Figure 2: Transvaginal scan with a color doppler showing the gestational sac with a fetal pole at the previous scar area. Figure 3: Transvaginal scan 16 weeks after the treatment showing a minimal hypoechoeic area at the scar area. The patient was initially using barrier method of contraception but later underwent laparoscopic tubal ligation. A 38-year-old woman with a past history of three cesarean sections, last cesarean was done two years back, was presented to the emergency department of Khoula Hospital with a history of amenorrhea for five weeks, backache, and mild vaginal bleeding. Her vital signs were normal. Examination did not reveal any positive findings. A trans-vaginal ultrasound revealed an irregular gestational sac of about five-week and a faint fetal pole. The sac was lower down in the uterus at the level of the previous uterine scar. The sac was seen to involve up to 50% of the depth of the scar area [Figures 1 and 2]. The beta human chorionic gonadotropin (beta-hCG) level on the previous day of admission was 19 643 IU/L and had increased to 29 629 IU/L on the next day. An urgent MRI was performed and showed a normal sized uterus with an irregular complex mass of 25 × 30 × 30 mm at the lower uterine segment anteriorly at the previous cesarean scar site. The complex mass was seen abutting the bladder dome posteriorly. There was no free fluid in the pelvis and no pelvic lymphadenopathy. In view of the scan findings and high beta-hCG level, a differential diagnosis of an ectopic molar pregnancy with myometrial invasion or scar pregnancy was made. The patient and her family were counseled about the management options and they opted for a medical management with methotrexate (MTX). Baseline investigations and chest X-ray were done. She was planned for five injections of MTX (50 mg/m2) alternating with folinic acid. After the second dose of MTX, a repeat scan showed a well-defined gestational sac with a fetal pole and cardiac activity. Under ultrasound guidance, 25 mg MTX was injected intra-amniotically along with potassium chloride by the transvaginal route. Scan confirmed that the fetal cardiac activity ceased after the injection. The patient was monitored by serial beta-hCG levels, vaginal ultrasound, and MRI. She was counseled about contraception. Except for occasional mild vaginal bleeding, the patient was well. Sixteen weeks after the treatment, the beta-hCG level came down to normal (non-pregnant) level. MRI was repeated after eight weeks of the treatment and showed a heterogeneous area of 17 × 24 × 24 mm in the anterior uterine scar with heterogeneous signal intensities showing some blood products in it. The patient was followed-up with serial vaginal scans fortnightly. A transvaginal scan was repeated after 16 weeks of the treatment, which showed a normal sized uterus with a minimal hypoechoeic area in the scar area [Figure 3]. Most of the reported cases rarely progressed beyond the first trimester.6 If pregnancy in a cesarean scar progressed to the second or third trimester, there would be an increased risk of uterine rupture with massive hemorrhage, with a high risk of hysterectomy causing serious maternal morbidity and can affect future fertility.8 To reduce morbidity and fatal complications, it is important to diagnose a scar pregnancy as early and as accurately as possible. The diagnosis may be late till uterine rupture occurs or the woman goes into hypovolemic shock, and it may be difficult to differentiate between a miscarriage and a scar pregnancy due to similarities in presentation and examination findings. An empty uterine cavity and an empty cervical canal. 5 000 IU/L.8 Intralesional injection and/or other additional interventions are used when the levels are more than 5 000 IU/L.17 Following systemic administration of MTX, the gestational sac could bulge into the uterine cavity and this could help in performing an easier and uncomplicated dilatation and curettage procedure.18 Initial treatment with MTX followed by dilatation and curettage has shown results of a shorter time of treatment and a more favorable effect.19 Some studies used UAE to reduce the blood loss. Lower bleeding volumes and hospitalization time were noted in the UAE group compared to the MTX group. No major side effects were noted in both groups. UAE followed by suction evacuation were recommended as a priority option in the management of CSP.20 It is important to rule out uterine rupture when any form of non-surgical management is planned.21 During the treatment, the patient must be counseled for surgery in case medical treatment fails or the CSP ruptures. Follow-up of the patients after medical management is done by monitoring the hCG values. Hysteroscopy can be used to identify the gestational sac and visualize the vessels at the implantation site allowing their coagulation and thus, prevent bleeding.5 Applying thermal energy to the scar could increase the latent risk of bladder injury and perforation.24 A shorter operating time and reduced blood loss were reported when a transvaginal approach was done to remove the ectopic pregnancy and repair of the underlying uterine defect.25 Robinson et al,24 reported a novel approach of laparoscopic guided hysteroscopic CSP evaluation, which help reduce bladder injury and intraoperative hemorrhage. Paracervical injection of vasopressin could further help reduce the risk of operative bleeding.26 However, the number of cases managed hysteroscopically were small and the results were inconclusive. High intensity focused ultrasound combined with suction curettage under hysteroscopic guidance was recently reported to be a safe and effective modality of treatment when the gestational period is more than eight weeks.29 Hysterectomies were reported as a primary mode of treatment or when other treatment modalities failed.12 Surgical treatment carries the risks of anesthesia apart from the operative risks especially of massive bleeding. There are no reports available on the time lapse and possible teratogenic risks to a new pregnancy following the use of MTX. Some authors recommended future pregnancies to be avoided for more than three months and probably one to two years.6 No particular contraceptive method has been reported to be superior to the others. 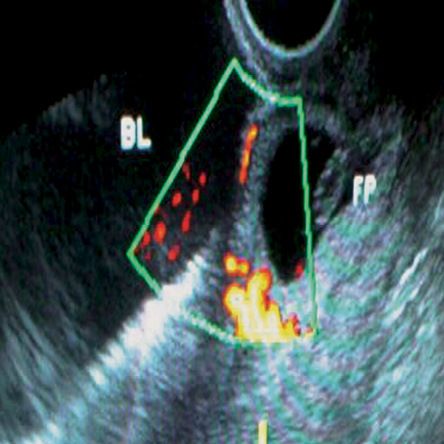 Successful viable intrauterine pregnancies were reported by many authors following a conservative management of CSP.8 An early transvaginal ultrasound should be done to assess the location of the new pregnancy and the woman should be closely monitored through the rest of the pregnancy as they may be at risk of placenta accreta. A vaginal delivery is recommended unless there is some other obstetric indication for an operative delivery.8 Three cases of recurrent CSPs were reported in world literature.16 For women with a history of ruptured CSP or a very thin or absent myometrium between the CSP and bladder, an elective cesarean delivery is advocated in the current pregnancy to prevent the possible risk of a spontaneous uterine rupture.6 Fetal maturity can be achieved with antenatal corticosteroids. CSP is a life threatening condition and the incidence is rising due to the increasing incidence of cesarean sections. It can have catastrophic complications affecting maternal morbidity and loss of future fertility. The liberal use of transvaginal ultrasound to assess early pregnancies helps early diagnosis and planning of the management. If the condition is not diagnosed, a simple gynecological procedure such as a dilatation and curettage may end up with massive hemorrhage and unexpected complications. The present day clinician should be aware of such a condition and have a high index of suspicion. Every pregnant woman with a past history of a cesarean section should have a careful ultrasonographic assessment of the previous scar. As there are no evidence based recommendations available, clinicians will have to depend on the available case reports and counsel the women accordingly on the various treatment options available to make an informed choice. Consultants should be involved in patient counseling and planning the further management of such cases. Tulpin L, Morel O, Malartic C, Barranger E. Conservative management of a Cesarean scar ectopic pregnancy: a case report. Cases J 2009 Aug;2(8):7794. Larsen JV, Solomon MH. 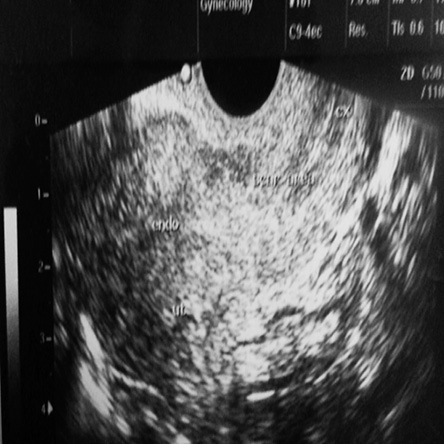 Pregnancy in a uterine scar sacculus–an unusual cause of postabortal haemorrhage. A case report. S Afr Med J 1978 Jan;53(4):142-143. Al-Nazer A, Omar L, Wahba M, Abbas T, Abdulkarim M. Ectopic intramural pregnancy developing at the site of a cesarean section scar: a case report. Cases J 2009 Dec;2(11):9404. Muraji M, Mabuchi S, Hisamoto K, Muranishi M, Kanagawa T, Nishio Y, et al. Cesarean scar pregnancies successfully treated with methotrexate. Acta Obstet Gynecol Scand 2009;88(6):720-723. Jurkovic D, Hillaby K, Woelfer B, Lawrence A, Salim R, Elson CJ. First-trimester diagnosis and management of pregnancies implanted into the lower uterine segment Cesarean section scar. Ultrasound Obstet Gynecol 2003 Mar;21(3):220-227. Seow KM, Huang LW, Lin YH, Lin MY, Tsai YL, Hwang JL. Cesarean scar pregnancy: issues in management. Ultrasound Obstet Gynecol 2004 Mar;23(3):247-253. Maymon R, Halperin R, Mendlovic S, Schneider D, Herman A. Ectopic pregnancies in a Caesarean scar: review of the medical approach to an iatrogenic complication. Hum Reprod Update 2004 Nov-Dec;10(6):515-523. Ash A, Smith A, Maxwell D. Caesarean scar pregnancy. BJOG 2007 Mar;114(3):253-263. Godin PA, Bassil S, Donnez J. An ectopic pregnancy developing in a previous caesarian section scar. Fertil Steril 1997 Feb;67(2):398-400. Seow KM, Hwang JL, Tsai YL. Ultrasound diagnosis of a pregnancy in a Cesarean section scar. Ultrasound Obstet Gynecol 2001 Nov;18(5):547-549. Vial Y, Petignat P, Hohlfeld P. Pregnancy in a cesarean scar. Ultrasound Obstet Gynecol 2000 Nov;16(6):592-593. Litwicka K, Greco E. Caesarean scar pregnancy: a review of management options. Current opinion in Obsterics and Gynecology.2011, 23(6):415-421. Hwu YM, Hsu CY, Yang HY. Conservative treatment of caesarean scar pregnancy with transvaginal needle aspiration of the embryo. BJOG 2005 Jun;112(6):841-842. Maymon R, Halperin R, Mendlovic S, Schneider D, Vaknin Z, Herman A, et al. Ectopic pregnancies in caesarean section scars: the 8 years experience of one medical centre. Hum Reprod 2004;19:278-284. Al Hashmi S, Maiti S, Macfoy D. Successful conservative management of ectopic pregnancy in Caesarean section scar. BMJ Case report 2012; 2012: bcr-2012-006925. Ravhon A, Ben-Chetrit A, Rabinowitz R, Neuman M, Beller U. 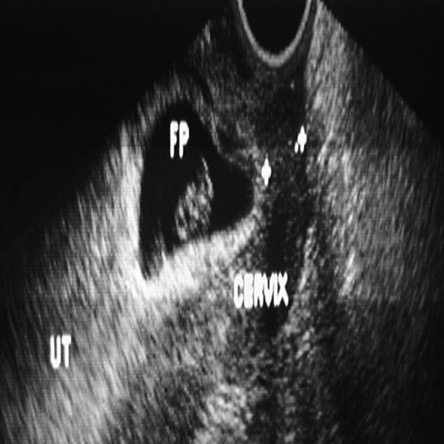 Successful methotrexate treatment of a viable pregnancy within a thin uterine scar. Br J Obstet Gynaecol 1997 May;104(5):628-629. Rotas MA, Haberman S, Levgur M. Cesarean scar ectopic pregnancies: etiology, diagnosis, and management. Obstet Gynecol 2006 Jun;107(6):1373-1381. Haimov-Kochman R, Sciaky-Tamir Y, Yanai N, Yagel S. Conservative management of 2 ectopic pregnancies implanted in previous uterine scars. Ultrasound Obstet Gynecol 2002;19(4):616-619. Wang JH, Xu KH, Lin J, Xu JY, Wu RJ. Methotrexate therapy for cesarean section scar pregnancy with and without suction curettage. Fertil Steril 2009 Oct;92(4):1208-1213. Zhuang Y, Huang L. Uterine artery embolization compared with methotrexate for the management of pregnancy implanted within a cesarean scar. Am J Obstet Gynecol 2009 Aug;201(2):152.e1-152.e3. Yan CM. A report of four cases of caesarean scar pregnancy in a period of 12 months. Hong Kong Med J 2007 Apr;13(2):141-143. Lai YM, Lee JD, Lee CL, Chen TC, Soong YK. An ectopic pregnancy embedded in the myometrium of a previous cesarean section scar. Acta Obstet Gynecol Scand 1995 Aug;74(7):573-576. Ben Nagi J, Helmy S, Ofili-Yebovi D, Yazbek J, Sawyer E, Jurkovic D. Reproductive outcomes of women with a previous history of Caesarean scar ectopic pregnancies. Hum Reprod 2007 Jul;22(7):2012-2015. Robinson JK, Dayal MB, Gindoff P, Frankfurter D. A novel surgical treatment for caesarean scar pregnancy: laparoscopically assisted operative hysteroscopy. FertilSteril 2009; 92(4):1497e13 -1497.e16. He M, Chen M-H, Xie H-Z, Yao S-Z, Zhu B, Feng L-P, et al. Transvaginal removal of ectopic pregnancy tissue and repair of uterine defect for caesarean scar pregnancy. BJOG 2011 Aug;118(9):1136-1139. Chang Y, Kay N, Chen YH, Chen HS, Tsai EM. Resectoscopic treatment of ectopic pregnancy in previous cesarean delivery scar defect with vasopressin injection. Fertil Steril 2011 Aug;96(2):e80-e82. Huanxiao Z, Shuqin C, Hongye J, Hongzhe X, Gang N, Chengkang X, et al. Transvaginal hysterotomy for cesarean scar pregnancy in 40 consecutive cases. Gynecol Surg 2015;12(1):45-51. Published online 22 Oct 2014. Hasegawa J, Ichizuka K, Matsuoka R, Otsuki K, Sekizawa A, Okai T. Limitations of conservative treatment for repeat Cesarean scar pregnancy. Ultrasound Obstet Gynecol 2005 Mar;25(3):310-311. Zhu X, Deng X, Wan Y, Xiao S, Huang J, Zhang L, et al. High intensity focused ultrasound combined with suction curettage for the treatment of Caesarean scar pregnancy; Medicine (Baltimore) 2015 May; 94(18):e854.